Properties in Gloucester average 4.5 out of 5 stars. Elegantly furnished former barn in quiet rural spot, South Cotswolds. 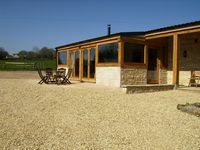 Property 6: Elegantly furnished former barn in quiet rural spot, South Cotswolds. Beautiful Olive Barn Vintage Village Style Country barn. Property 17: Beautiful Olive Barn Vintage Village Style Country barn. Small converted barn in peaceful village setting. 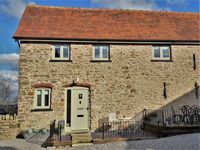 Property 21: Small converted barn in peaceful village setting. Four NEW Luxury barns with indoor pool. Property 40: Four NEW Luxury barns with indoor pool. Property 44: Rosebank Barn is set in rolling countryside on the edge of the enchanting village of Ablington. We had a lovely long weekend in this house. The house is a converted milking parlour, spatious, comfortable and warm. It had everything we needed.... every detail was taken in account. It has a closed field just in front of the house so we could take the dog for a quick wee in the night and early morning. It's in a gorgeous location, a farm, near several trails and walking distance from the pub. Jeannie and Brian are great hosts, they were always available to help. They left us coffee, tea, milk and cake which was deeply appreciated. They also advised us on multiple trails. We will repeat next year, I recommend this house 100%. Many thanks to Jeannie and Brian!